The necessary independence from the ebb and flow of poetic tides for “the little brown aristocrat” was granted by spirited flesh and blood aristocrat, Virginia Kent Cummins, from New York. She began editing The Lyric in 1949, following a serious car accident which compromised the health of Leigh Hanes. She had become acquainted with The Lyric through John Richard Moreland, who had helped her improve her writing skills. Because she established The Lyric Foundation, the financial viability of the magazine was insured, and its longevity greatly assisted. Virginia Kent Cummins’ unstinting generosity extended to young struggling poets who received college educations along with financial assistance, as well as to poets retrieved from homes for the aged. At her death in 1952, she left the magazine to Ruby Altizer Roberts, poet laureate of Virginia (1950), who worked tirelessly in its service, along with John Nixon, editor for 17 years. 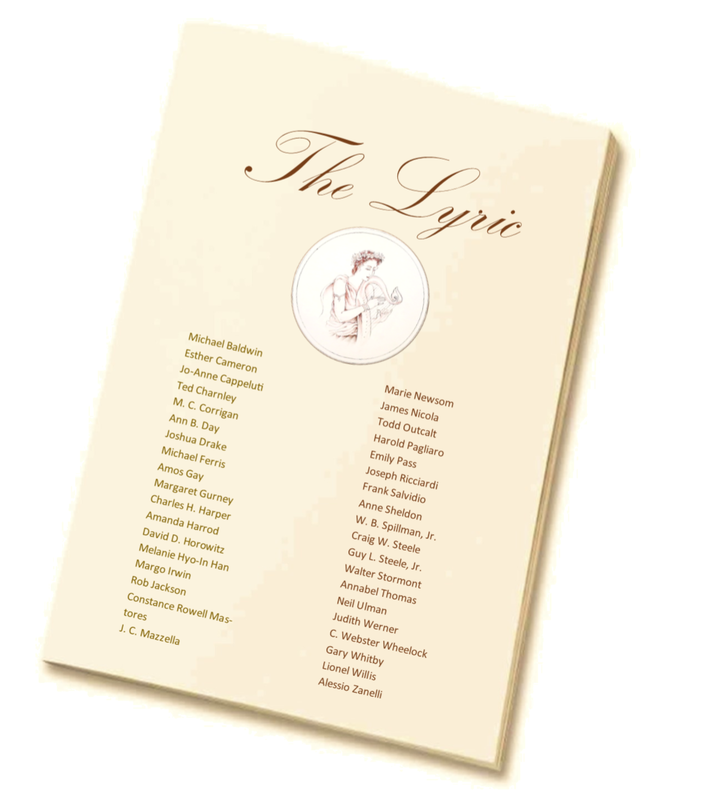 The Lyric Foundation continued under the direction of Edward M. Cameron, Jr., who instituted the yearly collegiate contest, open to undergraduate students in any American or Canadian college or university. In 1977, Mrs. Roberts asked Leslie Mellichamp (Blacksburg, VA) to take the editorial reins, assisted by his wife, Elizabeth. Dr. Mellichamp, a fine traditional poet himself, continued to champion the cause of rhymed, metered verse, to encourage young poets, and to publish their work alongside established lyric poets. When Parkinson’s Disease and failing eyesight necessitated a change, his daughters Jean and Nancy began assisting him and became editors after his death in 2001. Though, for many decades The Lyric was perhaps one of the few voices in the wilderness holding publication space for traditional poetry, there is truly a resurgence of appreciation for the beauty and discipline of form in poetry, and we look forward with anticipation to more wonderful lyric poetry crossing our desks and appearing in our pages.